An industrial twist to a unique jewel here at the Sapphire. This unit offers amazing 360 panoramic views of the South Padre island Gulf and the Laguna Madre Bay and an amazing private hot tub on the roof top deck. Luxury at its best here at South Padre. Located on the 6th floor of the Sapphire, this two bedroom two bathroom condo has a great view of the beach! Great unit to enjoy a nice cold beer or margarita while enjoying the comfort and luxury of this unit from the Balcony of unit 603. Not a more comfortable condo located on South Padre Island to make you feel at home! 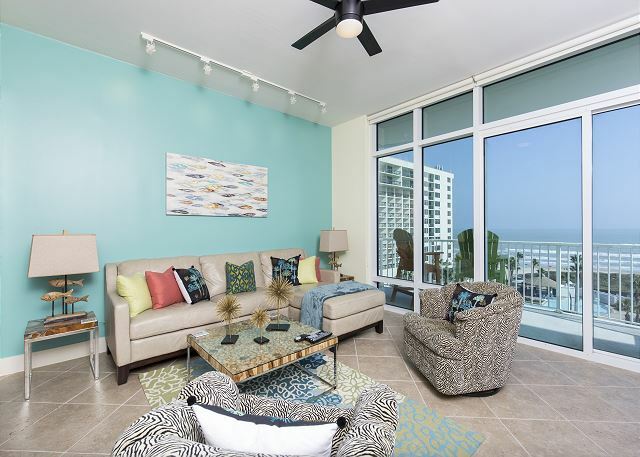 A gorgeous two bedroom condo equipped to help you relax to the fullest and provide stunning views of the shore and the beautiful glistening Gulf of Mexico. A modern feel on a luxurious beach-front condo. For those who love being surrounded by dark-wood furniture and those warm fall colors, it seems to fit perfect on the beach! 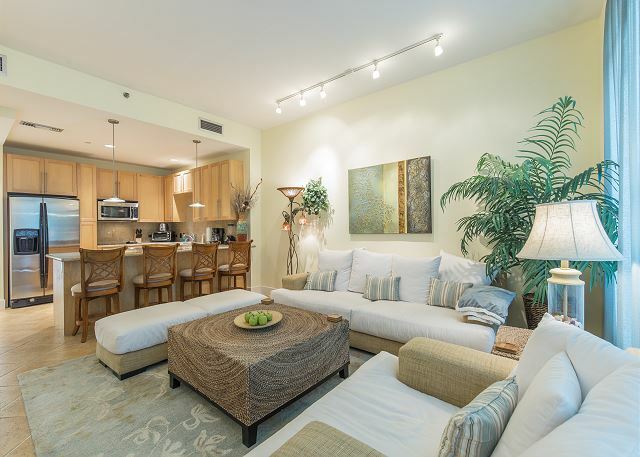 A luxurious condo prepped for a vacation filled with relaxation! 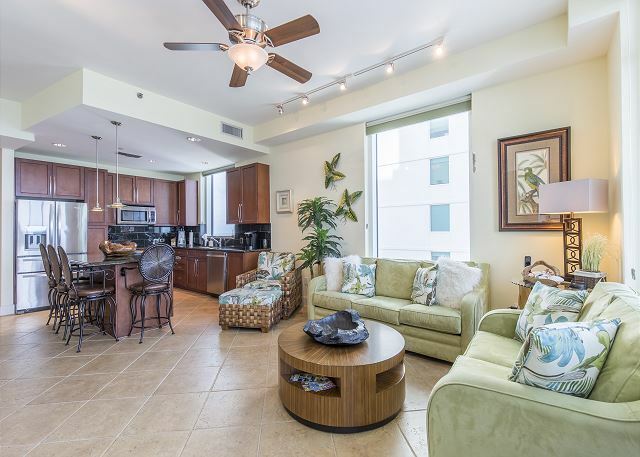 This three bedroom, two and a half bath condo high in the 16th floor will leave you breathless with its stunning views of the beach and Gulf of Mexico. This gorgeous three bedroom condo will melt all the troubles of the outside world away while you relax in pure luxury. The only thing you'll have to worry about is when to book again! This 3 bedroom condo will have you coming back for all your South Padre Island vacations! Perfect for a family vacation or a couples get away, 1008 Sapphire shows beautiful ocean views along with stunning sunsets off of the Gulf of Mexico. A gorgeous three bedroom condo with spectacular views of the magnificent Sapphire pool and beach. 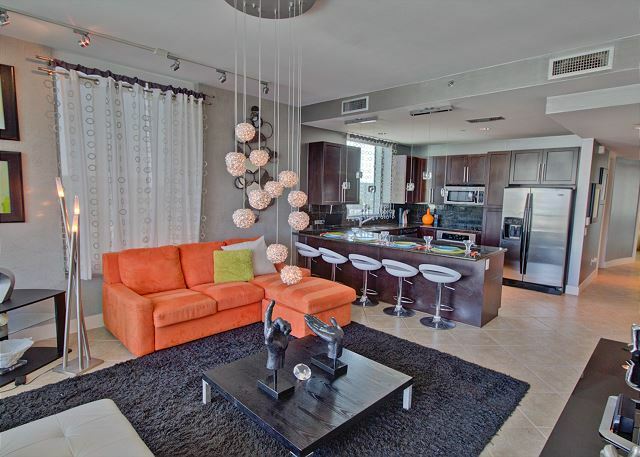 This gorgeously decorated condo will have you wanting to come back for any vacation! Wonderful corner unit located on the 9th floor of the North Sapphire Tower. Beach and bay balconies offer amazing views of the Gulf of Mexico and the Laguna Madre Bay. Great for families looking to travel together to the great South Padre Island. Located on the corner of the 19th floor of the Sapphire, this unit not only offers a beautiful view of the Gulf of Mexico but an amazing view of the Laguna Madre bay and the Queen Isabella Bridge. Enjoy luxury and comfort all in one at 1904 Sapphire. This condo is located on the 9th floor of the North Building of the Luxurious Sapphire here in South Padre Island! 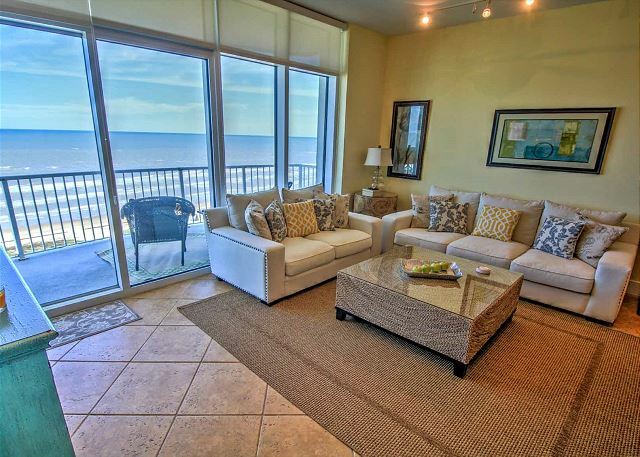 This unit comfortably accommodates 8 people maximum and offers an amazing breathtaking view of the Gulf of Mexico. Modern, sleek and cool corner beach front condo located on the 9th floor of the luxurious Sapphire Complex here at the beautiful South Padre Island. Great for couples, families or friends traveling to this island for pleasure or even for business. This gorgeous three bedroom two bathroom unit is located on the 11th floor of the North Tower of Sapphire. This unit offers accomodations to eight people maximum and luxury from one end of the condo to the other. Lucky unit 1301! A gem of the Sapphire Condos offers our families a beautiful luxurious space for your family vacation! 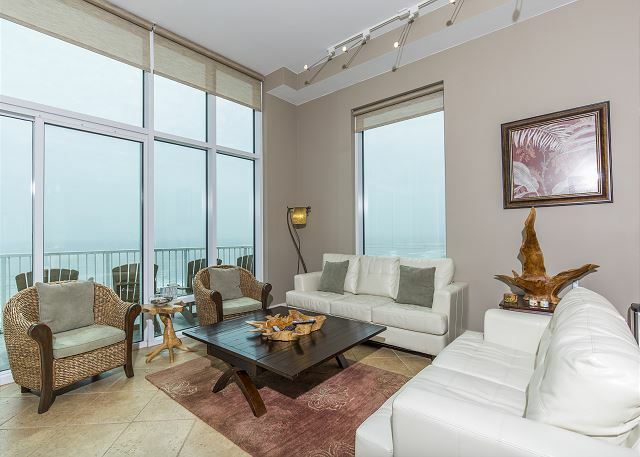 Decorated with family and luxury in mind, this unit offers amazing comfort, extravagance and views of the Gulf of Mexico and Bay. This beautiful modern three-bedroom, two and a half bath provides gorgeous views of South Padre Island from the 11th floor. 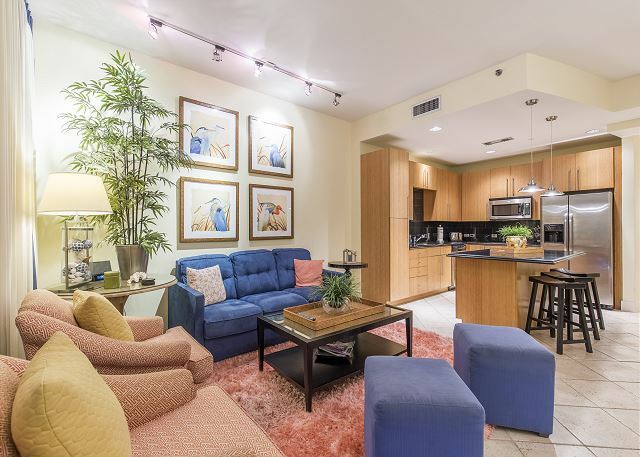 With light colors, this condo is perfect for cool drinks and easy relaxation. 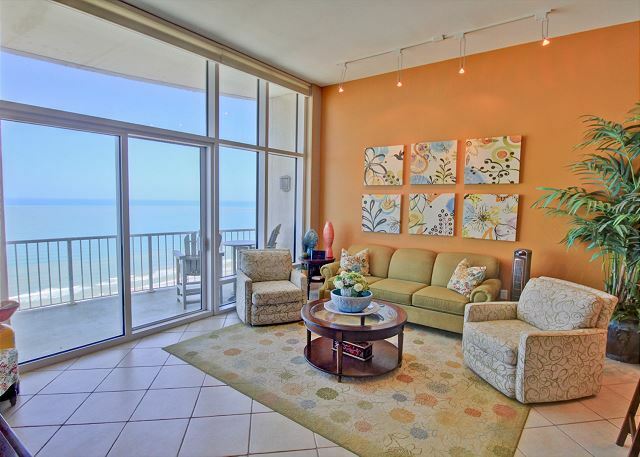 Magnificently located, condo 1901 is in such a perfect location for a great ocean view and bay view! 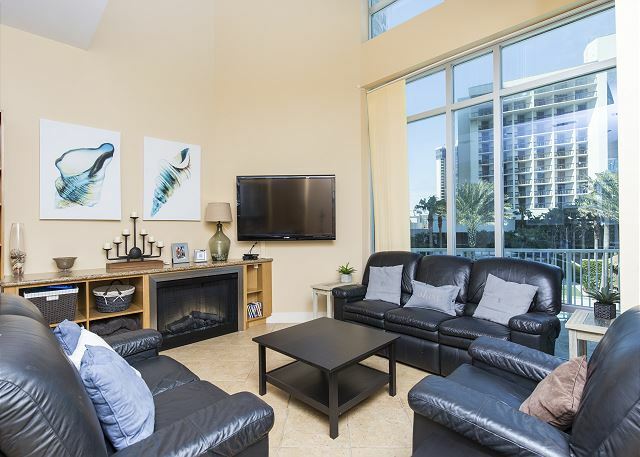 This condo is perfect for smooth, easy relaxation whether you're out on the beach or enjoying a comfortable afternoon inside. A breath-taking 3 bedroom, 2 and a half bathroom located high on the 18th floor with spectacular views of the blue ocean waters. This condo is fit for anyone to feel like royalty but also right at home. A condo fit for a perfect vacation! This exquisite condo located on the 6th floor of the lavish Sapphire is perfect for family vacation or anyones getaway! This corner unit is at a great location to give you a great view of the pool and still manage to give you a great ocean view. A luxurious oasis located on the 3rd floor of the Sapphire of South Padre Island! Beautiful views of the Gulf of Mexico and the Laguna Madre Bay. Perfect unit for a family getaway or a girls trip, comfort, luxury and beauty located all in this unit. An exotic tropical beach located in this gorgeous three bedroom two bathroom condo located on the 4th floor of the Sapphire. This unit offer an amazing experience and the beautiful view and sound of the ocean of South Padre Island. A modern corner unit located on the 5th floor of the Sapphire. This unit offers guest a modern twist to the everyday beach decor. Beautifully decorated and perfectly situated offering you both views of the bay and beach side of South Padre Island. Looking for a great family unit, look no further. Unit 1708 Sapphire has everything you may need to enjoy a family vacation this summer. With breathtaking views and comfort through out the unit it is home away from home.. only better. Enjoy the Sun! Fun Fun Fun and Fun! This unit is great for families looking to come down and spend some time in our beautiful beaches of South Padre Island. Nice and comfortable beds and great patio furniture to enjoy a margarita watching the beautiful beach. A Tropical Oasis oozing luxury and comfort, this three bedroom two and a half bathroom corner unit is perfect for your family vacation down at South Padre Island! This three bedroom two bathroom condo is a dream come true. 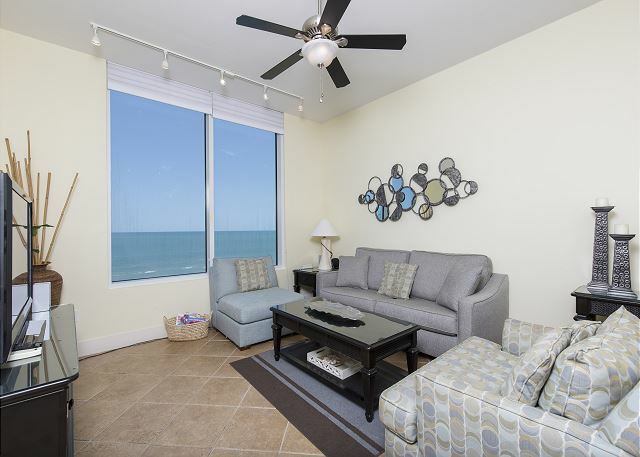 Decorated with beach comfort and luxury this unit is perfect for your vacation. The perfect unit awaits you and your family for your South Padre Island Vacation! 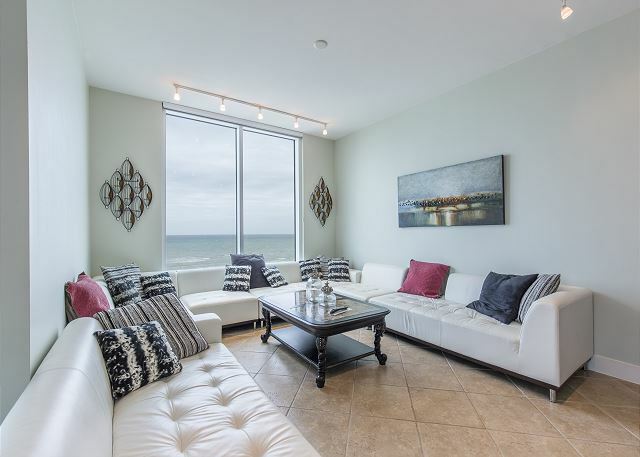 Unit 802 oozes luxury, fun and serenity.Overlooking the magnificent grounds and the Gulf of Mexico while enjoying a cup of Seroga Artisanal Coffee compliments of our owner. 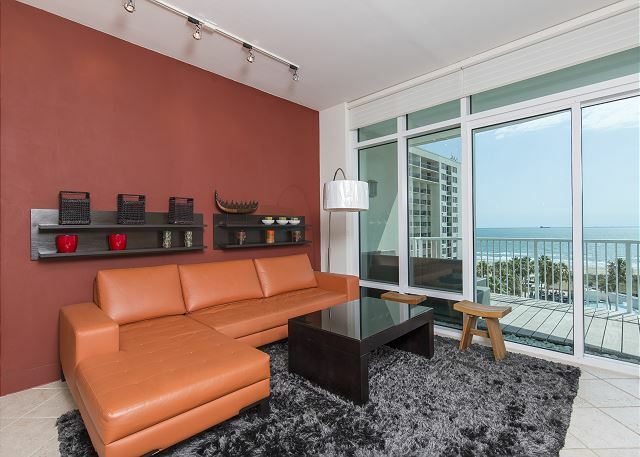 Located on the 24th floor, this breathtaking unit is perfect for any South Padre Island Vacationers! Decorated with comfort and luxury in mind and stunning views of the Gulf of Mexico and the luxurious pool, unit 2402 will be a home away from home. Even on the third floor you manage to see such beautiful views! 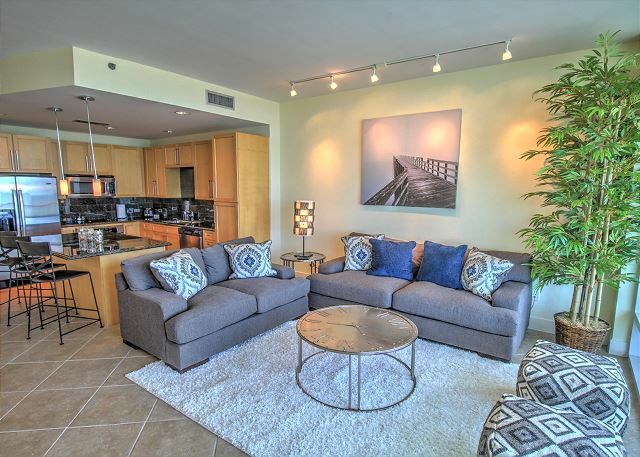 This three-bedroom, two and a half baths, condo is a modern gem with its own unique touches! Our guests will experience harmony of elegant interior, colorful blend of fine art, and endless light of 12 foot ceiling with only Penthouses crowing condo 2805. This three-bedroom, two and a half bath will have you feeling beyond classy. 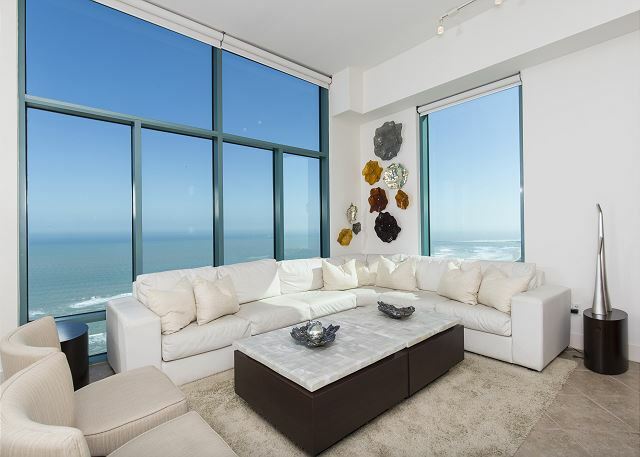 Such sleek, clean, and elegant style added to the great views seen from these beach and bay balconies. A modernly furnished gem at the Sapphire. 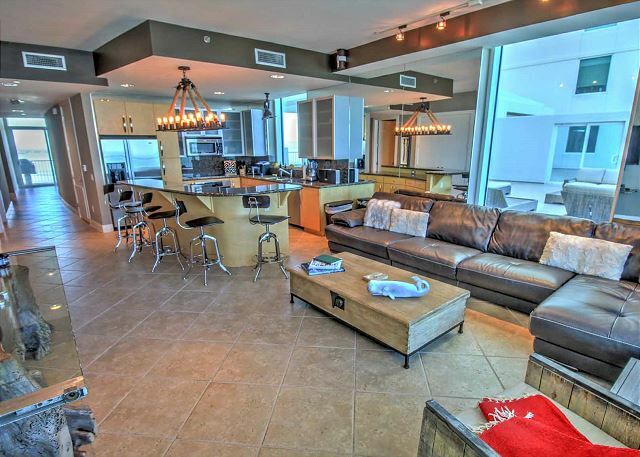 A luxurious condo with amazing views of the Gulf of Mexico and the South Padre Island strip. A corner unit fit for beautiful scenery and furnished for a great, comfortable vacation. This three bedroom condo will leave anyone wanting to come back for all your couple or family vacations! This home away from home will let anyone experience top luxury and complete relaxation with stunning sunrises and sunsets. Beautiful three bedroom two bathroom condo with amazing views of the beach from the 16th floor. 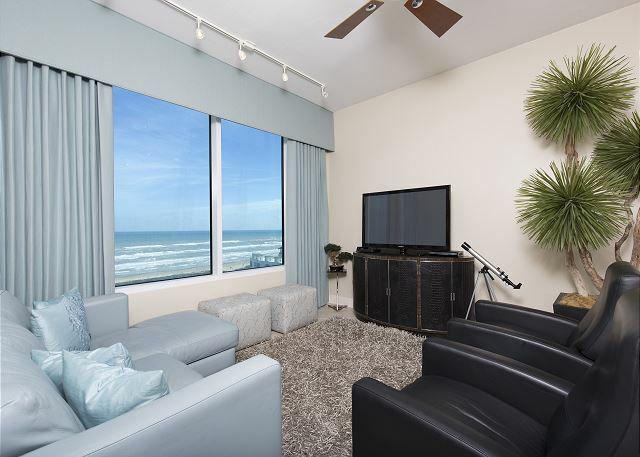 Equipped with board games, books to beach toys and beach towels, this unit has everything for a night in or a day at the beautiful beach of South Padre Island. Gorgeous breathtaking views from the 25th floor of the Sapphire. This corner unit is amazingly decorated offering out guest the best of South Padre Island. Views from onside of the condo to the other as well as the view of the Port of Brownsville channel. 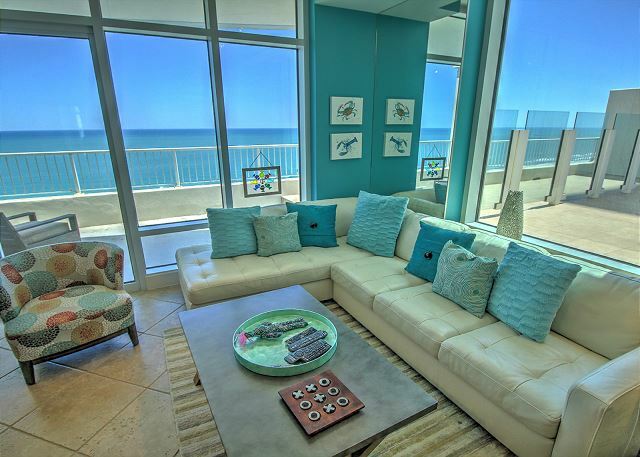 Gorgeous beachfront condo up above on the 26th floor! This beach-decorated condo is where you want to stay, great for a vacation getaway from the city, the beach will be calling your name! 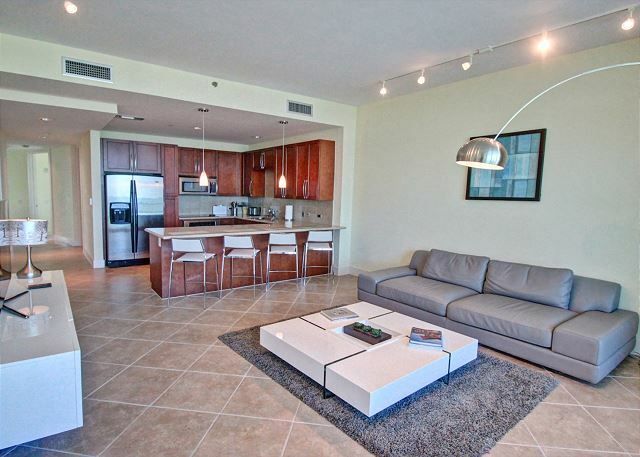 A luxurious 3 bedroom, 3 bathroom condo located high above on the 26th floor. Nothing but immaculate comfort in this "home away from home" condo, providing stunning views of the beach and the glistening Gulf of Mexico. Located directly adjacent to the pool, you'll be up close and personal with the beach! This three story Bungalow has everything you need for a vacation you'll never forget! A unique gem here at Sapphire South Padre, this unit will give you the spectacular views you have been looking for. An amazing roof top patio with a private hot tub for your use during your stay. This is the epitome of luxury, class and comfort.